Decal set replica made for 1940 Evinrude Sportwin 5.4 hp according to customer description. This Evinrude Sportwin decal was made custom and may not fit for the following horsepower motor. 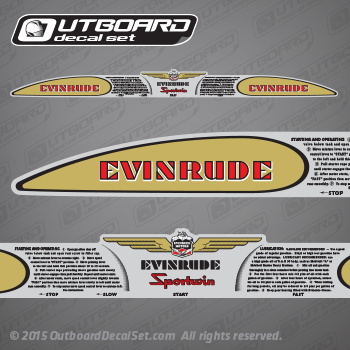 (1) Evinrude Sportwin wrap-around decal.